Atlona has hired Scott Smith as regional sales manager, commercial, for the Southeastern United States. Based near Atlanta and bringing more than 20 years of experience in the audiovisual industry, Smith will work closely with Atlona’s direct dealers, distributors, and representatives to support and expand the company’s commercial business in the territory. Smith joins Atlona from Crestron Electronics, where he achieved top-ten sales milestones in each of his 17 years with the company. In his most recent role as senior regional manager, he led the Southeast team of regional managers, expanded the company’s dealer network, and worked directly with key enterprise accounts. 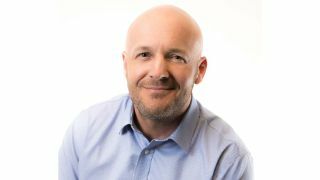 Prior to his time at Crestron, Smith founded audiovisual design and integration firm Gryphon Technology, leading the company until its acquisition in 2000. Smith attended Jacksonville State University and holds CTS, DMC-D, and DMC-E certifications.